To apply for financial aid, click HERE. If you need assistance completing the FACTS application, please contact Jacqui Warren at 402-548-3859 or jwarren@creightonprep.org or speak with a FACTS Customer Care Representative at 1-866-441-4637. 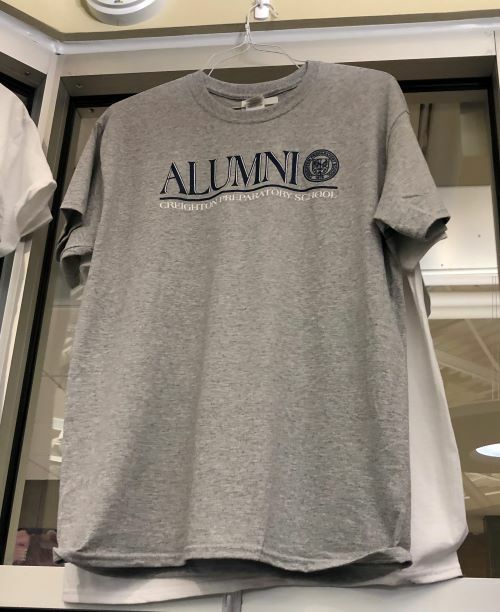 If you have not already ordered a cap and gown for your son’s upcoming graduation, you can still do so by ordering at the School Traditions store in the Bel Air Plaza at 12100 West Center Road, Suite 901 (Wednesdays from 10 a.m.-5:30 p.m. or Saturdays from 10 a.m.-12 p.m.) or online at www.jostens.com. The online order deadline is Friday, March 1, but the School Traditions store will still accept orders after that date. Orders for school custom graduation announcements will need to be placed at the School Traditions store by Friday, February 1. Make your Prep senior feel special by purchasing a senior ad in the 2019 Jay Junior yearbook! For $50, you can include a full color photo and up to 90 words of congratulations and encouragement. Click on the following link: https://commpe.pictavo.com/PictavoSchool/FindSchool. Where it says “Enter School ID#,” type in 77509. On the next page that appears, click "Shop My School" and you will see an option to purchase an Eighth-Page Recognition Ad for $50. Click "Add to Cart" and you will be given the option to log in or create an account. From there, you can use the website to help create and submit the dedication ad for your senior. The deadline for submitting senior ads is January 31. If you need assistance with the Pictavo Community site, please call 800-290-0036 or send an email to answers@pictavo.com. You can also email Yearbook Advisor Matt Rasgorshek at mrasgorshek@creightonprep.org. Thank you! Freshman Aidan Morey is working on an Eagle Scout project to collect old cell phones and iPads to help women and soldiers in need, and you can help by donating one or both items. Some of the donated phones will be converted into 911 phones and distributed to women who are under duress as they prepare to leave the Catholic Charities Domestic Violence Shelter. Other donated phones will be recycled in favor of calling cards that will be given to deployed soldiers of the United States Armed Forces. The iPads will be recycled. If you would like to donate an old cell phone and/or iPad, please drop them off in the Dean of Students Office at Prep, which is located near the midway point of the main floor at the school. Cell phones and iPads will be collected through the rest of the 2018-2019 school year. If you have questions about the project, please contact Aidan via email at 2022217@creightonprep.org. At 6:15 p.m. on Thursday, January 31, the Rosary to support Freshman Retreat will take place at St. Margaret Mary Church (6116 Dodge Street). A 25-person team is needed to lead the Rosary, and if you would like to join the team, please contact Jeanne Schulte at spicierlife@me.com. Thank you! This summer, Campus Ministry is offering service trips to the Dominican Republic, Mexico and the Rosebud Reservation. These trips are primarily for current juniors, but we also have space for some sophomores this year. If your son is interested in applying for one of these experiences, they should contact Mr. Dave Lawler in the Campus Ministry Office at dlawler@creightonprep.org. Thank you for considering to serve the Prep students and the faculty and staff in this way. God bless you! Thanks as well to all those who have signed up so far! Please remind prospective Prep students and their parents that the 8th Grade Scholarship & Entrance Exam will take place tomorrow morning (Saturday, January 12) at Creighton Prep. The cost is $10. Prospective Prep parents can click HERE to begin the application process. Students should bring two #2 pencils (no calculators) and enter the building from the west parking lot. Students may arrive for check-in starting at 7:30 a.m. At 7:45 a.m., they will be directed to a classroom where testing will begin at 8 a.m. After the test has concluded, parents can pick up students in the west parking lot starting at 11:30 a.m. If you have any questions about the 8th Grade Scholarship & Entrance Exam, please contact Josh Luedtke, Director of Admissions, at jluedtke@creightonprep.org. The CP Parents Praying with St. Ignatius retreat experience continues its 12th year on Monday, January 14 from 6:45-8:30 p.m. in the Skinner Chapel, located on the first floor of Creighton Prep in the south hallway. Director of Adult Spirituality Fr. Kevin Schneider, SJ will guide the meeting, and Deacon Damian Czerniak, SJ will share his faith journey to Prep. Would you like to learn more about your son’s religious formation at Prep and support his spiritual growth, as well as hear members of the CP staff share how faith influences their work? Please join the group once a month as they pray the Spiritual Exercises of St. Ignatius and learn about Ignatian spirituality. Uniquely designed with busy parents in mind, this spiritual journey takes the four-week Ignatian retreat and spreads it over nine months. Fr. Kevin leads the group in prayer, teaching and discussion of the Spiritual Exercises. He also suggests ways that participants can live the retreat each day. Sophomore parents interested in discussing considerations for course selection for junior year, standardized testing, college search items and information covered during community period with sophomores are encouraged to attend a Sophomore Parent College/Career Meeting on Monday, January 14 or Wednesday, January 16 from 7-8 p.m. in the Criss Auditorium. These one-hour meetings have a set agenda and a presentation by Director of College Counseling Christianne Clark. Sophomore parents interested in a meeting without a set agenda or presentation should consider attending a Coffee and Conversation for Sophomore Parents meeting with Prep counselors on either January 22 and 24. See below for details. Loyola Scholars: The Heider Academic & Leadership Achievement Program at Creighton Prep is a year-round, three-year academic and leadership achievement program serving middle school sixth-to-eighth-grade males in the Omaha metro area who are academically talented, have leadership potential and whose households have significant financial need. The 2019 nomination season for program candidates is open now through Monday, March 11, and an information evening for any interested families will be held on Tuesday, January 15 at 6 p.m. in the Criss Auditorium at Prep. The discussion will be led by Director of Loyola Scholars Jeni Martinez. For more information or questions about the Loyola Scholars program, please contact Jeni at jmartinez@creightonprep.org or 402-548-3885. The next Prep Moms meeting will be held on Tuesday, January 15 at 7 p.m. in the Carta Hall of Fame Room just inside the Heider Center entrance to the school. Creighton Prep President Fr. Tom Neitzke, SJ and Principal Jim Bopp will be the speakers. These meetings are a great way to learn about Prep and get involved with your time and talent at the school. See you there! Coffee and Conversation for Sophomore Parents is an opportunity for sophomore parents to meet with Prep counselors and other parents, and ask questions they might have about course selection for next year, college planning and PSAT results. There is no formal agenda or presentation. The meetings will be held in the Carta Hall of Fame Room on Tuesday, January 22 from 9 to 10 a.m. and Thursday, January 24 from 11:30 a.m. to 12:30 p.m.
Sophomore parents who would like to attend a meeting with a set agenda and a presentation should consider attending a Sophomore Parent College/Career Meeting led by Director of College Counseling Christianne Clark on either January 14 or 16. Also in January, the Counseling Department has scheduled three opportunities for junior parents to gain the same information that their sons are receiving about college awareness. The College Awareness Workshop for Junior Parents will cover understanding PSAT scores, selecting a college, college admissions tests, factors colleges consider in selecting you, registering for the ACT/SAT, paying for college, college majors, retaking the ACT and using Naviance Student (formerly known as Family Connection). A class will be offered on Saturday, January 26 from 8:30 a.m. to noon, and evening classes will be offered on Thursday, January 24 and Monday, January 28 from 6 p.m. to 9 p.m. If you would like to participate in a College Awareness Workshop for Junior Parents, call the Counseling Office at 402-548-3869 or email Fr. Tillman at rtillman@creightonprep.org. Preregistration is required. The class will meet in Room T-004. Sophomore parents who are eager to have college questions answered may also register for this workshop. Junior parents who would like to attend a version of this meeting with a set agenda and a presentation (but without time for hands-on experience with the Naviance Student platform) should consider attending a Junior Parent College Meeting led by Director of College Counseling Christianne Clark on either January 7 or 9. 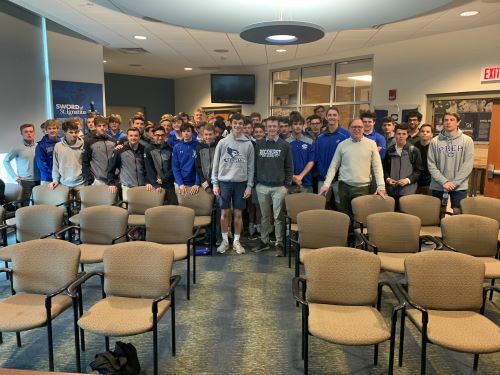 Creighton Prep’s annual Father-Son Mass and Breakfast is a special event for fathers and sons of the Prep community, Catholic and non-Catholic alike. The event will be held on Sunday, January 27, and Mass will be concelebrated by members of Creighton Prep’s Jesuit community. All Prep fathers and sons are encouraged to attend, especially the members of the Class of 2022. Of particular concern to us is the student who may not have a father at home. We encourage him to come with a brother, uncle, grandfather or another student and his father. Sunday, January 27 at 10 a.m.
Click HERE to register online now or HERE to download a form that you can complete and return to Prep prior to the event. In order to confirm accommodations with the caterer, all reservations must be received by Wednesday, January 23. Thank you! Please save the date of Thursday, February 1 to attend the Rosary to support Freshman Retreat that will take place at 6:15 p.m. at St. Margaret Mary Church (6116 Dodge Street). As noted earlier in this Parent Pulse, a 25-person team is needed to lead the Rosary, and you can contact Jeanne Schulte at spicierlife@me.com if you would like to be part of the team. Prep moms, please plan for you and your son to attend Mom Prom 2019 “Rockin’ the Decades with Mom” on Sunday, February 10. This is a Creighton Prep tradition and an opportunity for Prep mothers and sons to spend an evening together and to raise money for the April post prom party. The event will be held at the CHI Health Center (formerly the CenturyLink Center) downtown at 455 N. 10th Street. Social hour will begin at 5 p.m. followed by dinner at 6 p.m. and dancing at 7 p.m. During the dance portion, at least one song on the dance floor will be reserved for mothers and their sons from each of Prep’s four classes. Winning raffle tickets will be drawn as you enjoy your dessert, so bring cash for some great prizes. Click HERE to make your reservation today. Reservations are due by Saturday, February 2, and the cost is $30 per person. If you would like to be seated with a specific group of people, please include all of them as part of one paid reservation. Those reservations that come in individually or late reservations will be seated at class tables. See the postcard invitation HERE that will be mailed to Prep parents and sign up to donate raffle prizes or provide support for decorations HERE. A list of common questions and answers on Mom Prom 2019 can be found HERE. See you there! Please plan to join us on Tuesday, February 12 from 6-8 p.m. in the Sullivan Center for Celebrating a Legacy of Excellence, an event to honor the Creighton Prep swimming and diving program. Former Prep swimming coaches Jack Jackson '54, Dave Stuva '74, Lynn Groff and Tom Beck '84 will be honored along with all former and current swimmers, divers, trainers and their families. In keeping with a longstanding swimming tradition, a pasta dinner will be served. Admission will be free. We just ask that you register by Thursday, February 7 so we can plan accordingly for catering and seating. To register today, click HERE or contact Amy Knight at aknight@creightonprep.org or 402-548-3858. If you decide to register by contacting Amy, simply let her know your name and the names of those attending with you as well as the class years for any alumni. On that evening, please park in the west lot and enter the building through the doors next to Memorial Plaza. We look forward to seeing you there! Mark your calendars now and gather your team of eight for the fifth annual CP Trivia Night to be held on Friday, February 15 in the Henry L. Sullivan, SJ Campus Center. The cost is $240 per table of eight, and participants must be 21. Seating will be limited to the first 50 teams that have paid in full. On that night, please park and enter on the west side of the building. Check-in begins with a social hour at 6 p.m., with the first round of Jeopardy-style questions with host Mike Monday starting at 7 p.m. Topics are random and the event will conclude when the winners are crowned. As in the past, festive tables and costumes are highly encouraged but not required. A prize will be given to the best themed and decorated table but we ask that no decorations extend beyond the sides of the table or obscure views of the podium. For more event details and to register online, click HERE. Please remind prospective Prep students and their parents that the 6th/7th Grade Pre-Entrance Exam will take place on Saturday, February 23 at Creighton Prep. The cost is $10, and parents can register their sons and pay online HERE. On the day of the exam, students should bring two #2 pencils (no calculators) and enter the building from the west parking lot. Students may arrive for check-in starting at 7:30 a.m. At 7:45 a.m., they will be directed to a classroom where testing will begin at 8 a.m. Parents can pick up students in the west parking lot starting at approximately 11:30 a.m. If you have any questions about the 6th/7th Grade Pre-Entrance Exam, please contact Josh Luedtke, Director of Admissions, at jluedtke@creightonprep.org. Creighton Prep is proud to recognize alumni, coaches and supporters for outstanding contributions to the athletic program at the school. Their commitment, achievement and sense of sportsmanship set the standard for the young athletes who follow in their footsteps today. On that night, please join us for a cocktail reception at 6 p.m. followed by a dinner and program at 7 p.m. Parking will be available in the west lot. Tickets are $60 per person. Click HERE to register. Click HERE to see a PDF of the invitation to the Athletic Hall of Fame Dinner & Induction Ceremony. 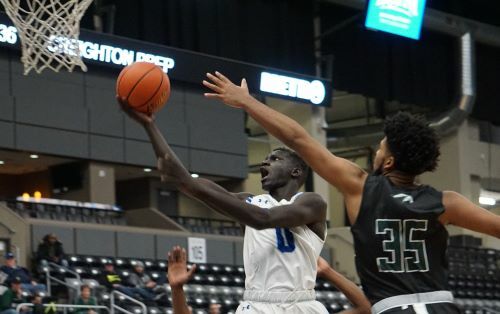 To nominate a former Creighton Prep athlete, coach, contributor or team for consideration to a future Athletic Hall of Fame class, click HERE. 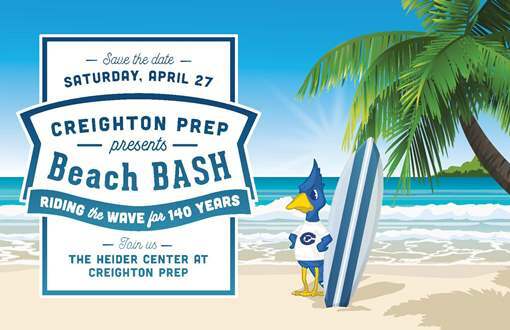 Beach BASH 2019 "Riding the Wave for 140 Years" will be held in the Heider Center at Creighton Prep on Saturday, April 27, just 106 days away as of Friday, January 11. Donate a gift or monetary donation to support the live auction, silent auction or eBASH (online) auction. Gifts of all varieties and sizes are truly needed and appreciated! Some popular gift categories include: electronics, home items, jewelry, kitchenware, vacation homes, themed gift baskets, gift certificates and more. You could donate a gift on your own or go in with other families on a larger item. 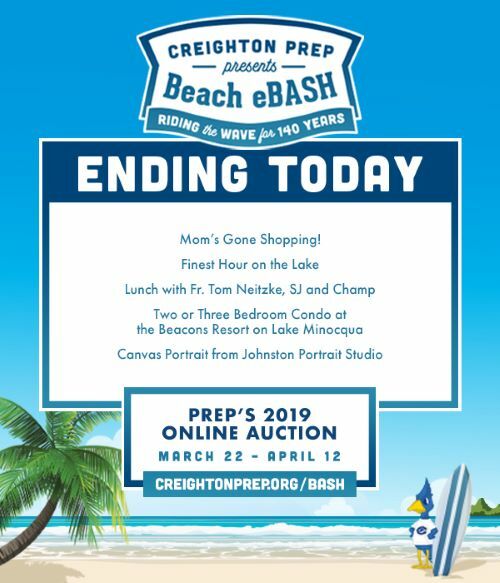 If you are interested in contributing an auction item, please contact Amy Knight at aknight@creightonprep.org or click HERE to make a donation online. The auction donation deadline is February 4. Save the date and time of Saturday evening, April 6 to attend the Beach BASH 2019 Patron Party at the home of Prep parents Beth and David Kramer '83. This is a great event where Prep supporters gather in advance of BASH. Details on registering for the Patron Party will be communicated in a future Parent Pulse. One of the many ways you can help ensure a successful Beach BASH 2019 is by preparing a gift basket for the silent auction portion of the evening on Saturday, April 27. Members of the BASH team have created a SignUpGenius page to make it easy for you to donate a gift basket of your choosing or commit to a cash donation so one can be assembled for you. Click HERE to get started! Help us sell raffle tickets for a grand prize drawing of $10,000. Tickets are $100, 3 for $250, 7 for $500 or 15 for $1000. Tickets go on sale Sunday, January 27. Contact Amy Knight at aknight@creightonprep.org for more info. Advertise your business in our Beach BASH 2019 catalog. There are a variety of advertising opportunities for businesses of all sizes. Click HERE to purchase a catalog advertisement. A Premier Partner sponsorship comes with a full page catalog ad, a table for 10 people at the event, a digital ad on BidPal and more. Click HERE to download a PDF detailing the Premier Partner sponsor options and HERE to become a Premier Partner sponsor. Click HERE to download Premier Partner sponsor details and how to submit required information (catalog ad, eBASH banner, guest names, etc.). Each year, Creighton Prep relies on hundreds of volunteers to make BASH a success! Sign up now to volunteer in the months and days leading up to Beach BASH 2019 and also for the event itself. Don't miss this opportunity to get involved at Prep and meet great people! 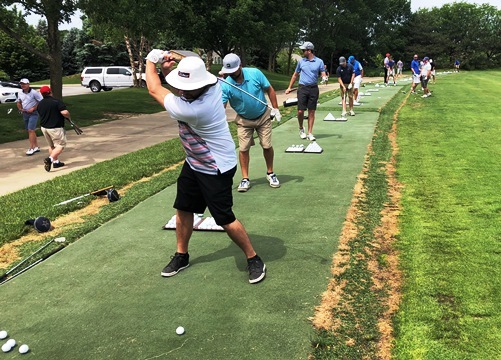 If you have any questions about volunteering for Beach BASH 2019 or the event itself, please contact Amy Knight at 402.548.3858 or aknight@creightonprep.org. BASH is a big undertaking, but with the help of our Prep community members, we come together each year to put together a successful event in support of our students – and have a little fun along the way! We look forward to partnering with you in 2019. The Grief & Loss Support Group is a peer support service available to any student at any time to help them navigate the difficult journey of loss. This is a group setting for individuals to process and develop more consistent ways to cope with the loss of loved ones through death, divorce or other forms of transition. A parent or student can request a referral through the student's guidance counselor or the Dean of Students, or the parent or student may contact Kevin Kaminski directly at 402-393-1190 x327 or kkaminski@creightonprep.org. Congratulations to student musicians Moises Acevedo, Keegan Brown, Joseph Buckley, John Dickas, Will Ernatt, Jack Krejci, Paul Owens and Jordan Sauer on being named to the Nebraska Wesleyan University honor band. Student auditions were recorded and submitted online by Prep’s Director of Instrumental Music David May. In April, the band program will go for a 33rd consecutive superior rating in district music competition. Congratulations to senior Jared Groves on getting two of his art pieces selected for exhibition at Nebraska Wesleyan University as part of the NWU Art Exhibition and Scholarship Competition. Students accepted into the show and enrolled at the school will have a chance at scholarships worth $4,000 and $10,000, respectively. Congratulations to the Creighton Prep swim team on their second place showing at the Maroon and Gold Invitational in Minneapolis on Saturday, January 5. Prep competed in the 13-team Gold Division that featured a number of the top high school teams in Minnesota. Highlights included first place finishes by Ross Pantano in the 200 individual medley with a time of 1:54.90 and Rush Clark in the 100 fly with a time of 48.51. Rush’s time is faster than the Nebraska state championship mark of 48.68 set by Jacob Molacek ‘14 almost six years ago. Swimmers that made auto state meet cuts were Andrew Hood in the 50 and 100 free, Kayden McCullough in the 50 and 200 free, Ben Ravnsborg in the 100 back and Ethan Schmaderer in the 200 individual medley. Creighton Prep is pleased once again to participate in the Coaches vs. Cancer 3-Point Challenge happening throughout the month of January to benefit the American Cancer Society, and your help is requested. Prep fans can pledge a one-time donation or donate for every 3-pointer made by the Prep basketball team throughout the month of January. Join the Coaches vs. Cancer 3-Point Challenge, and make your pledge today by visiting the website HERE and clicking on the PLEDGE NOW! button. Click HERE to view an electronic version of the Winter 2018/19 Creighton Prep magazine that was mailed in December. The issue is full of interesting stories on Prep and the Prep community including a summary of the school’s 140-year history, a profile of the vocal music program and an article on Prep alumnus and Regis University President Fr. John Fitzgibbons, SJ. ‘73. Visit the Jay Mart starting Monday, January 14 for a fantastic sale where all clothing apparel will be 30 percent off while supplies last. Choose from a great selection of quarter-zips, shirts and T-shirts to get you through the winter and spring sports seasons! The Jay Mart is located in the Smith Atrium and is open from 11 a.m. to 1 p.m. on school days. Students are welcome to shop the store during their lunch period, and parents, alumni and friends of the school may visit the store by entering the building through the Administration entrance next to the east parking lot. It is also open for ALL home basketball games. Please follow the Jay Mart on Instagram for the latest items and sales. You can also find the store at www.creightonprep.org/jaymart. For questions or additional information regarding the Jay Mart, please contact Stacey Burke at sburke@creightonprep.org.